The Trump administration is refusing to regulate two toxic chemicals known to contaminate the drinking water of many Americans, including tens of thousands of families near Colorado Springs. 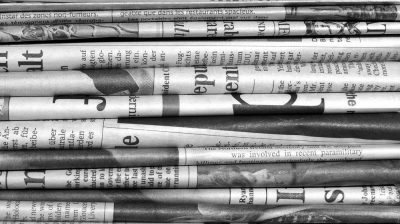 The decision by Andrew Wheeler, acting administrator of the Environmental Protection Agency (EPA), has angered many Republicans in Congress, but not Colorado Sen. Cory Gardner. This is despite the fact that studies have shown that nearly 80,000 people living near Peterson Air Force Base, just southeast of Colorado Springs, are exposed to dangerously high levels of contamination and have been for years. [Gardner] told POLITICO he expected there would be a federal role in regulating the chemicals, but he wanted to see the results of a health study included in the fiscal 2018 National Defense Authorization Act. “I think it’s very important that we get as much information as we can and then act appropriately,” he said. The study Sen. Gardner is referring to won’t begin until August of this year and will take five to seven years to complete. Funded by the Department of Defense and conducted by the Health & Human Services’ Agency For Toxic Substances and Disease Registry, the national study of eight sites near U. S. military bases may or may not include the Peterson AFB site. 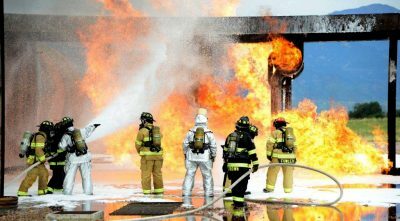 The chemicals known collectively as PFAS have been largely phased out of industrial use in the United States, but are still found in the fire retardant foam used to fight petroleum-based fires. Numerous studies linked these chemicals to kidney cancer, liver damage, increased risk of thyroid disease, decreased fertility and other health threats. 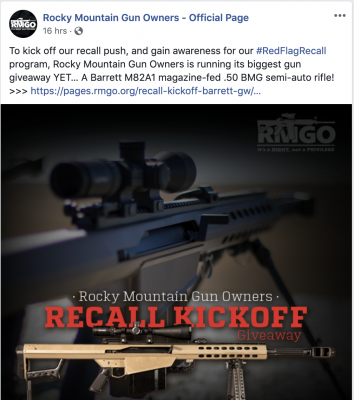 In December 2018 the Colorado School of Mines released a study of people living near of Peterson Air Force Base in Colorado Springs. Research showed levels of a particular PFAS toxic compound, PFHxS, at ten times the national average. 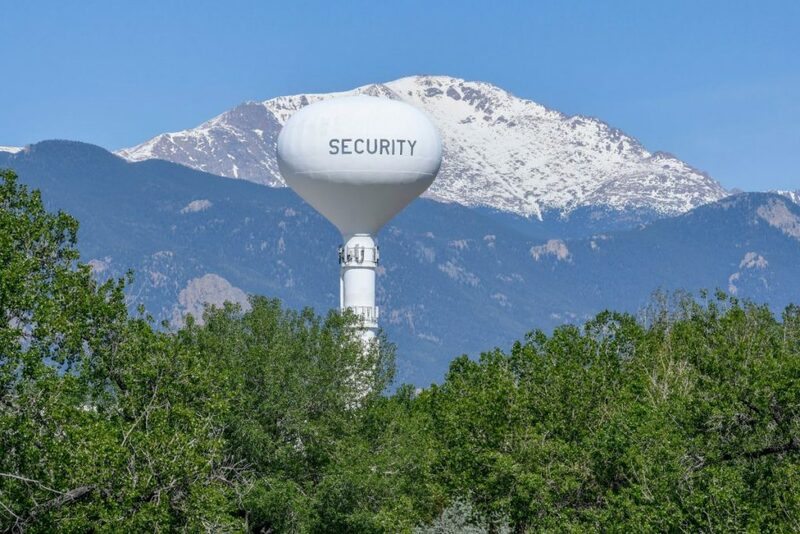 This followed a 2017 health assessment by the Colorado Department of Public Health and the Environment (CDPHE) that found higher rates of cancer among the Peterson AFB communities of Fountain and Security-Widefield. The EPA set permanent health advisories for two PFAS chemicals, PFOS and at PFOA, at 70 parts per trillion in May 2016. However the guidelines are not enforceable without the regulations under the Safe Drinking Water Act that the agency has declined to enact. At the event, Colorado health officials asked the EPA for federal regulations. 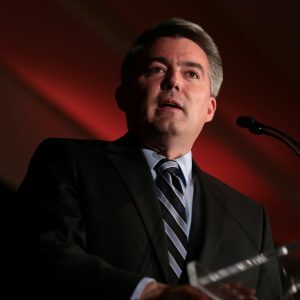 Gardner’s wait-and-see approach is at odds not only with his own state’s public health officials, but also with several of his fellow Republican senators. West Virginia Senator Shelley Moore Capito’s state experienced prolonged PFAS contamination from a DuPont chemical plant. That resulting settlement included a $670 million fine based in part on a massive health study Over 69,000 West Virginians that served as the basis for the connection between PFAS and six health conditions: testicular and kidney cancers, ulcerative colitis, thyroid problems, high cholesterol and hypertension in pregnancy. Sierra Club toxicologist Sonya Lunder, an expert in the public health risks associated with environmental contamination, expressed concern over Sen. Gardner’s statement. LUNDER: It’s really insulting to the public to pretend like there is inadequate information and that we have to wait and study exposed people in order to take action. It’s the opposite of what federal regulation should be. We actually have studies of people in the United States who’ve had this type of exposure– and a huge study at that [the West Virginia study]. It’s very rare in environmental epidemiology to have over 60,000 people in a study. These are not data-poor chemicals. There are maybe more effects of PFAS –we’re learning from observational studies that the immune system is impacted– routine vaccinations aren’t as effective for kids with higher level of PFAS. So there’s a lot to be learned from studying people but in terms of all the things the government can be doing, we really hate to see human studies used as a stall tactic, especially when we know people are going to continue to be drinking this water while Senator Gardner waits to make up his mind. An email sent to Sen. Gardner requesting comment and clarification of his statement that he wants to wait for study results before moving ahead with federal regulation was not returned. This topic contains 0 replies, has 1 voice, and was last updated by Erik Maulbetsch 2 months, 2 weeks ago.